Some people are confused why there are 4 gospels. Are these gospels different and do they contradict one another? Four witnesses were divinely chosen by god to become the writers of the four gospels. God gave them this purpose of writing, so that each of them would present a specific portrait of Jesus. Each gospel was meant to be a complete document/book. When you read a book, do you jump to page 154 and read the 46th line and then close the book and think you have understood the book? Of course not. You start from page one. In the same way, if you want to understand any gospel, you need to read from the first chapter to the last. The 4 portraits of Jesus presented in the gospels blends into a perfect harmony like a four-part choir, to help us to see and know and understand who Jesus really is. I like to think of it as a 4-D portrait of Jesus! 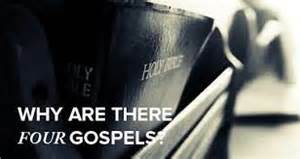 When you understand the purpose of each Gospel, you will be amazed at the beauty and the power of the gospels and how they all fit in harmony. Although all the Gospels are for everyone, each gospel writer had a specific focus in mind. I urge you to please read on. Whether you’re Christian or Muslim, I am pretty sure you will be amazed if you have never known about these truths. Matthew presents Jesus as the MESSIAH / KING. He was writing primarily to the Jews. That is why you’ll find many references in Matthew’s book to the Old Testament writings and practices which the Jews were very familiar with. Since Matthew was portraying Jesus as Messiah, he records Jesus’ legal genealogy right in Chapter 1; beginning from Abraham, to show Jesus was the one who was promised that would come as Messiah from the direct line of Abraham, Isaac, Jacob and David. The first miracle recorded by Matthew is of a leper being cleansed. Why? Because to the Jews, leprosy was symbolic of sin. And when Jesus healed the leper, it was not just a miraculous physical healing but it symbolic of Jesus the Messiah saving us from our sins. Matthew focuses on what Jesus, the Messiah, SAID. That is why you’ll find chapter after chapter of Jesus teachings’ like the famous Sermon on the Mount in Matthew 5, 6, 7 and so on. (By the way, Matthew used to be a tax collector, so he was very meticulous in record keeping and he knew short-hand, so he was well-prepared to write this gospel that contains so much of what Jesus spoke. This gospel ends with the account of Jesus’ resurrection as He Himself prophesied. Mark presents Jesus as a SERVANT of God. The FOCUS is on what Jesus DID. That is why in this gospel you will find the most number of miracles recorded, more than the others. Mark does not write as much as Matthew did in quoting the words of Jesus. His focus was on what Jesus worked as a servant of God. Can you understand why Mark does not place a genealogy in his account like Matthew did? Because a servant’s genealogy does not matter! Mark was the perfect writer for this gospel that presents Jesus as a servant because he himself was a servant and assistant to Paul and then later to Peter. He was also a helper for a brief period to Luke as well. Basically, this gospel was the eyewitness account of Peter. Mark was Peter’s scribe. This gospel is summarized perfectly in 10:45. “For even the Son of Man did not come to be served, but to SERVE, and to give his life as a ransom for many.” There you have it, the story of the servant. Luke was a doctor. He presents Jesus as a human, SON OF MAN. He was writing primarily to the Greeks. This gospel focuses on how Jesus FELT as a human being. As a doctor, he was perfect to write about Jesus’ humanity. Luke’s focus was Jesus as a man. So it should come as no surprise that Luke records Jesus’ genealogy and his record goes back to the first man, Adam. Unlike Matthew, who traced Jesus’ legal kingly line as proof of being the Messiah, Luke traces Jesus’ human blood line through Mary (since he had no human father) and shows His humanity. Can you see why Matthew and Luke had differing genealogies and the reasons for them? Luke ends the gospel with Jesus’ promise of the Holy Spirit, to set up his sequel, the Book of Acts where he picks up from where he left off with the coming of the Holy Spirit, the Comforter, 40 days after the ascension of Jesus. John’s gospel was the last to be written, probably around 90 AD. The 3 earlier gospels were written around 50-60 AD. In this gospel, John presents Jesus as the divine SON OF GOD. He focuses on WHO Jesus was. You will find in this gospel glimpses of His divinity. Just like the other gospels, this gospel is for everyone but John’s primary audience he had in mind were Christians. Many people think there is no genealogy in John. Look carefully at verse one onwards. It is speaking of Jesus pre-existence, with and as God! That’s His origin. Etenity! Right from chapter one, John makes it clear that Jesus is divine and stepped into His own creation (John 1:14). In chapter 3, you will find that Jesus says He came from heaven. In John 5, 8, 10 and other places you will see evidences that Jesus is God. In fact, there is no way you can miss John’s purpose in writing this gospel because he states in clearly towards the end of the book in 20:31, “These are written that you may believe that Jesus is the Messiah, the Son of God, and that by believing you may have life in his name.” If you read a verse in John and come to any other conclusion different from what John stated, then you have missed the message of this book. YOu contradict the author and you are wrong. John ends this gospel with the promise of Jesus’ return, thus setting up John’s sequel book, Revelation, where he picks up again on the second coming of Jesus and what will happen then. As you can see, the gospels are not just random verses or chapters thrown together. It is a book to be read and understood as a whole. Not picking a verse here and a verse there to create your own opinion or false theology. Now when you read the gospel, you will have a clarity you never had before of what it all actually means. You will understand why certain things are in one gospel but not in another. And most important of all, you will see Jesus for who He truly is, Messiah, Servant, Man, God. This diagram below summarizes these points. adapted from the lectures of Chuck Missler. Today the word “gospel” is used to describe the 4 New Testament books that present the life of Christ. In a general sense, gospel is also used to describe the life and teachings of Jesus Christ. Indeed, the story of Jesus is good news! Matthew presents Jesus as the promised Messiah, the King of the Jews. Matthew contains five great collections of Jesus’ teachings. Matthew’s birth narrative contains five prophecies that were fulfilled. The Kingdom’s law, mission, mysteries, greatness, and future can be respectively found in chapters 5-7, 10, 13, 18, and 24-25. Mark is a fast-paced gospel that portrays Jesus as the powerful, suffering servant of God. Mark shows that Jesus taught with authority, as affirmed by the miracles He performed. Jesus’ life of service was completed when He sacrificed Himself on the cross. Key Dates: Written between 40-65 A.D.
Time Period: From 28-30 A.D. (early) or 30-33 A.D. (late). Mark traveled with his cousin Barnabus and with Paul. Peter and Paul favorably mentioned him. He was known as Mark (Latin) and John (Hebrew). The book of Mark was probably written for Romans. Mark often explained Jewish words, customs, and places. He used Roman time rather than Hebrew time. And he translated some words into Latin. Mark is a compact, action-oriented gospel. Mark omits the birth and genealogy of Jesus, and moves straight into His baptism and ministry. Mark is a visual gospel, full of colorful descriptions. For example, when Jesus fed the 5000, the people sat on “green grass” (Mark 6:39). Along with visual details, Mark recorded emotions and gestures. For example, Jesus was “moved with compassion” and “touched” a leper (Mark 1:41). The rich young ruler “ran” and “knelt” before Jesus who “loved” him (Mark 10:17-22). Early Christian scholars believed that Peter influenced Mark’s account. In scripture, Peter referred to Mark as “my son” (1st Peter 5:13). Luke was a Greek doctor. He was the friend of the Apostle Paul, who referred to Luke as the “beloved physician” (Colossians 4:14). As befits a doctor, medical details are often introduced in this gospel (Luke 4:38, 5:12, 6:6, 9:39-42, 18:25, 22:44). Luke wrote the third gospel and the book of Acts. Both were addressed to a man whose name meant “one who loves God.” Jewish customs and places in Palestine are often explained in Luke. Luke was an educated physician and an inspired historian. Luke is often considered to have the best literary writing style of all New Testament authors. His account was compiled from eyewitnesses to the ministry of Jesus (see Luke 1:2). Luke’s careful narrative was written “in consecutive order” so that his reader would know the “exact truth” about the life and teachings of Jesus (Luke 1:1-4, Acts 1:1-2). Chronology was important to Luke. Events in Luke were often accompanied by datable references to historic figures (Luke 1:5, 2:1-2, 3:1-2). Significant prayers in Luke include the “Lord’s Prayer” and the prayer in the Garden of Gethsemane (Luke 11:1-4, 22:39-46). Two parables found only in Luke highlight the importance of persistent prayer (Luke 11:5-13, 18:1-8). Luke is the only gospel with a sequel – the book of Acts. Luke wrote the longest gospel account. Luke’s writings account for more than 25% of the New Testament. Luke has 18 parables that are found in no other gospel. For example, the Good Samaritan, the Lost Sheep, and the Prodigal Son are only found in the book of Luke (See Luke 10:25-37, 15:4-7, 15:11-32). John is the gospel of belief, and was written to show the world that Jesus was the Christ, the “Son of God.” Jesus was sent by the Father to give eternal life to believers. James and John were the sons of Zebedee and Salome. They were fishermen who were business partners with Peter and Andrew (Luke 5:10). John was one of the three who were selected to be with Jesus at the raising of Jairus’ daughter, the transfiguration, and in the Garden of Gethsemane. The gospel of John is very different from the gospels of Matthew, Mark, and Luke (the synoptics). Events recorded in the synoptic gospels were set principally in Galilee. By contrast, most of John’s gospel was set in Judea. Jesus made seven great “I am” claims in John. These are reminiscent of God’s “I am” statement in Exodus 3:14. See John 6:35, 8:12, 10:9, 10:11, 11:25, 14:6, and 15:1. Miracles in John are referred to as “signs.” The signs are given to confirm the deity of Jesus. The seven principal signs from this gospel are in John 2:1-11, 4:46-51, 5:1-9, 6:1-14, 6:16-21, 9:1-7, and 11:1-46. 3 Papias. Exegesis of the Lord’s Oracles via Eusebius, Ecclesiastical History 3.39.15 (circa 140 A.D.). 4 Irenaeus. Adversus Haereses 3.1.1 (circa 180-199 A.D.). This chart shows some of the unique characteristics and key differences between the gospels of Matthew, Mark, Luke, and John. Author Tax collector and apostle. Also known as “Levi.” Missionary with Barnabus and Paul. Called a son by Peter. Greek doctor who travelled with Paul. Wrote Acts as sequel. Fisherman, apostle, and elder. Wrote 5 NT books. Died at an old age. Probably written after Mark. 40-65 A.D. Probably the 1st gospel written. 59-61 A.D. Probably written after Mark and Matthew. (Luke 1:1-3) 80-98 A.D.
Characteristics Evidence to prove Jesus was the promised Messiah. Fast paced and visual. Careful and historical. The gospel of belief. Notes Handbook of teachings about the Kingdom. All but 4 chapters present at least 1 miracle. Has more parables than any other gospel. Teachings are presented as conversations. Size Notes 3rd largest NT book 5th largest NT book 1st largest NT book. Acts is 2nd with over 24,000 words. 4th largest NT book.